Renowned carver Floyd Scholz presents the much anticipated follow-up to his best-selling Birds of Prey. 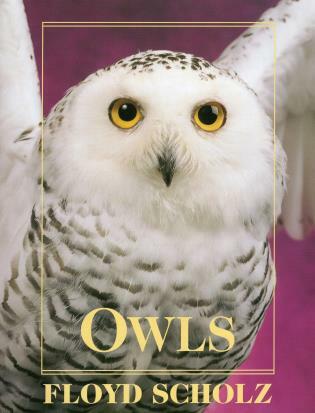 In this new book, hundreds of stunning full-color photos and useful line drawings offer detailed studies of 16 species of owls-from the tiny Elf Owl to the impressive Great Horned Owl. All are illustrated in full detail, with focus on body and wing design, plumage patterns, flight characteristics, and predatory behavior. Also includes a section on carving and painting techniques and a gallery of Floyd Scholz's finished carvings. A must-have reference for carvers, artists, ornithologists, naturalists-anyone interested in these magnificent birds.